The regular way to build is a linear approach that moves neatly from one step to the next. The only problem is that it’s not guaranteed to produce the best result. How come? Key players may not share common objectives for the project, may not understand how their work affects the work of others, and aren’t looking collectively for ways to make the house more efficient and less costly to build and operate. 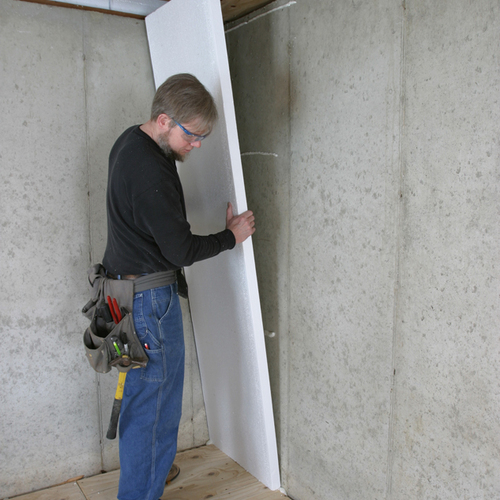 Have you ever seen a drywaller slash a vapor barrier with a utility knife to make drywall installation easier? Or huge gaps in the wall sheathing that “will be covered by siding”? This is where the regular way of building breaks down. A number of builders who specialize in sustainable design are trying something different. It’s called “integrated design” or “whole-building design,” a collaborative approach that treats the group of people building the house as a team rather than as independent freelancers. On large public projects, integrated design can be a time-consuming and expensive process that involves members of the community as well as project planners, engineers, landscapers, and various trade subcontractors. In residential construction, it can be much simpler. But no matter what the scope of the project, the principles are basically the same. HVAC, plumbing, lighting and wiring, site planning, framing, insulating and other key parts of the project are viewed as interrelated parts of the whole. Teamwork is especially important in green building because getting a high-performance house often requires that builders challenge conventional ways of doing things. Integrated design can include what builders and architects call a “charrette,” a meeting or series of meetings bringing together the designer, builder, and subcontractors to discuss the project and swap ideas. The word is French, meaning “cart.” According to the National Charrette Institute (www.charretteinstitute.org), its use in this context derives from the practice of collecting work from students at the Ã‰cole des Beaux Arts in Paris in a rolling cart as they worked feverishly at the end of a project. However obscure the connection, here’s an example of how a charrette worked on the design of an office building in Pennsylvania, as described by the U.S. Department of Energy’s Office of Energy Efficiency and Renewable Energy. Designers of the building had proposed using triple-glazed, double low-e windows, an upgrade costing $15,000. The developer balked until it was also shown that better windows would allow the elimination of a perimeter heating zone, a $15,000 savings, and downsizing heat pumps for another $10,000 in savings. In addition, smaller equipment and ducts meant more space in the building could be rented, adding $5,000 to building income. On a residential project, huddling up early in the process can lead to proportional savings and better building efficiency. For example, framers thinking ahead to energy efficiency might be more open to advanced framing techniques that eliminate unnecessary structural members and leave more room for insulation. More insulation and a tighter building envelope may allow the HVAC installer to put in smaller equipment. These things are more likely to happen when people talk with one another. 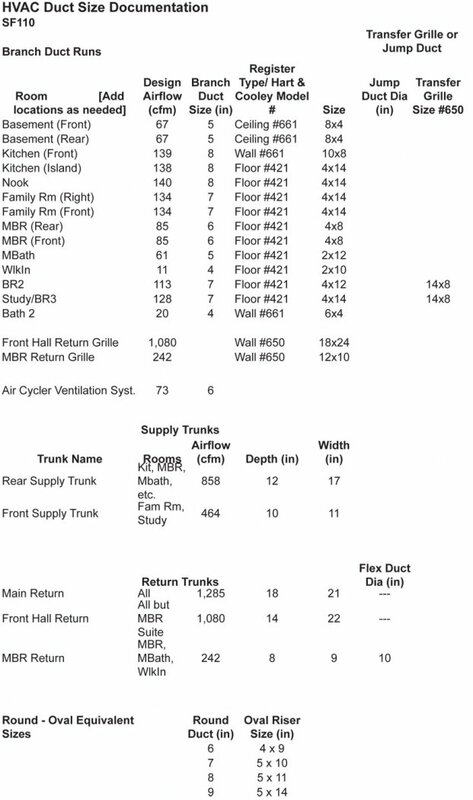 On the right is the duct/equipment layout and duct schedule for a high performance home. Note the level of detail, the nice short duct runs with few turns, the coordination between framing and duct runs. This is systems integration of the building envelope, interior framing, and HVAC. How does this happen? It happens because the architect (or the designer/builder if there is no architect) and the HVAC engineer (or the HVAC contractor/energy efficiency guru on staff, if there is no engineer), believe it or not, actually worked it out together. Neither completed their work alone or in one step. They each refined the systems for which they were responsible based on information the other provided along the way. 2. Engineer: make a gross level assessment of the HVAC: location of equipment and distribution system. The engineer may also do a first level energy budget analysis. 3. Architect: design/specification refinements based on engineer’s comments. 6. Architect: finalize design attributes. (Optional) Run final energy performance analysis. Engineer: HVAC documentation delivered to HVAC contractor for review and sign-off. The architect or designer needs to fully articulate the structure, including interior floor framing layout and specifications (i-joists, open-web trusses, etc.) and the HVAC designer needs to fully specify ducts and equipment. If floor framing is left to the framing contractor and duct sizes and runs left to the HVAC contractor to figure out on the job site, the chances of achieving high performance are low, at best. 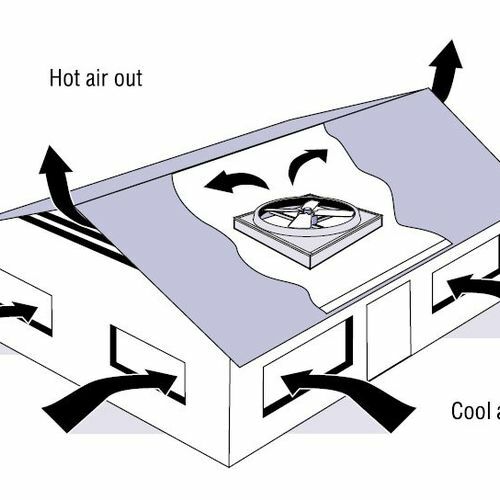 The result of this systems integration is a high performance home: energy-efficient, safe, and comfortable. The other half of Chandler’s company is his wife, Beth Williams, who is an architect. Together they build three or four houses a year in the Chapel Hill, North Carolina, area. Chandler concentrates on the building science and Williams designs the spaces. What about builders who don’t have any experience with integrated design? “Be infinitely curious about what makes houses work,” Chandler suggests, “and solicit feedback from your team.” Energy Star and green building guidelines can become catalysts in the process, a place to start. So an explanation of integrated design also can be a pitch to prospective clients on the benefits of choosing Ecofutures as the builder as well as the designer. Green design doesn’t end at the charrette; communication must be consistent throughout the project among all team members. While this can be complicated on a large construction project with many team members, it’s relatively easy at a residential job site. 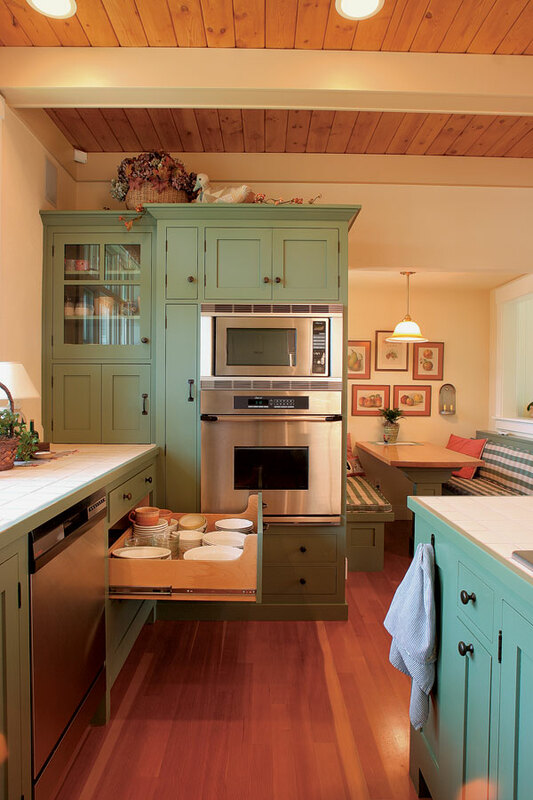 Even small homes benefit from close attention to detail — attention that keeps costs down and quality up. None of these Web-based tools is the magic bullet. They all require commitment by the whole project team, won’t work without a true champion of the system, take time and effort to implement, and are better suited to some types of projects than others. But they can save valuable time, reduce hassles, and be used from pre-design all the way through warranty. Two leading home building professionals — Paul Eldrenkamp of Byggmeister Design Build, a remodeling firm in Newton, Mass., and Matt Golden of Sustainable Spaces, a home performance retrofitting company from San Francisco, Calif. — have been using Web-based QM tools for several years in their green homebuilding work. To design, specify, and build quality homes, you don’t have to use Web-based QM tools. But they can be very effective at integrating all of the professionals that can make or break your green project — architects, engineers, interior designers, project managers, trades, even the client. In addition to the tools listed below, another tool that facilitates communication between building professionals, subcontractors, and clients is My GBA from GreenBuildingAdvisor.com. Integrated design means thinking about how the parts fit together. This systems-thinking is how green homes achieve high performance and comfort. It’s safe to say that most houses are built the old-fashioned way. It goes something like this: A designer or architect draws up floor plans and elevations for approval by the owners; the plans are turned into detailed construction drawings that can be passed along to a general contractor; the general contractor hires specialty subcontractors, or augments his own crew with subcontractors, and builds the house. Everyone is different, so we all have different priorities. For people with asthma or chemical sensitivity, high indoor air quality may be most important. For those on a fixed budget, affordability and energy efficiency may top the list. Still others may make choices based on the ability to grow old in the same house. While green building and remodeling addresses all of these goals, it’s up to the green team to prioritize them appropriately. 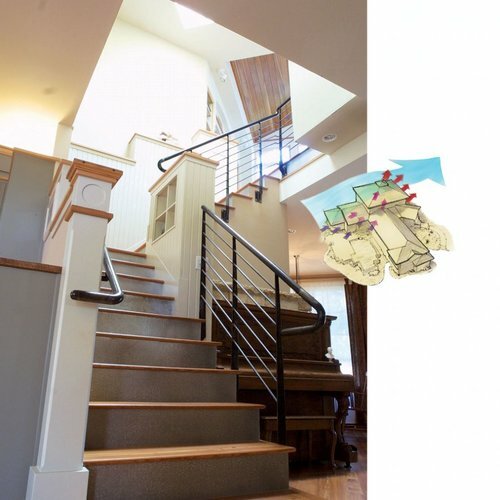 The way you plan and design affects the way you build and ultimately live in a home. Green building is about process first, products second. But the process of building involves myriad products and materials. Green choices offer ways to improve indoor air quality, water and energy efficiency, durability, and comfort. Paints and finishes on floors, walls, cabinets, and ceilings should be low in VOCs. Natural or recycled materials such as wood and tile can provide years of service while looking great. Efficient appliances can save energy and water, and natural lighting lowers the need for artificial lighting. Know what to avoid in the way of building materials that contain potentially hazardous materials, such as high levels of urea formaldehyde or carpet cushion made with brominated flame retardants. Older houses should be tested for lead, a common paint ingredient until 1978. Look for interior finishes that resist stains. Not only will the house be easier to keep clean but there will be less of a need to use harsh cleaners and sealants that are potentially hazardous, especially to children. Keep indoor humidity at a safe level. Relative humidity greater than 60% can encourage the grown of mold. Dust mites can thrive when the RH reaches 50%. Very low humidity can be tough on flooring and furniture. Generally a range of 30% to 60% is best. 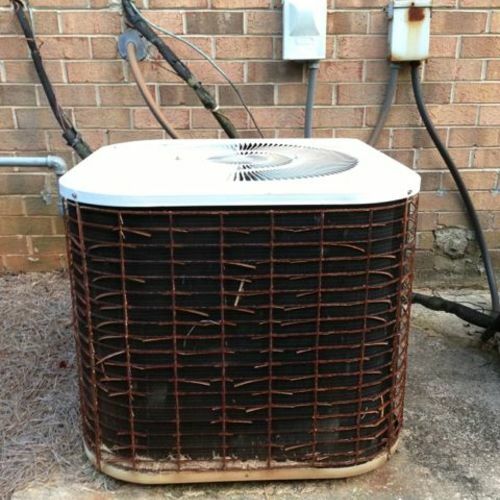 A dehumidifier or air conditioning is one sure way of controlling humidity. Planning for a dry foundation. 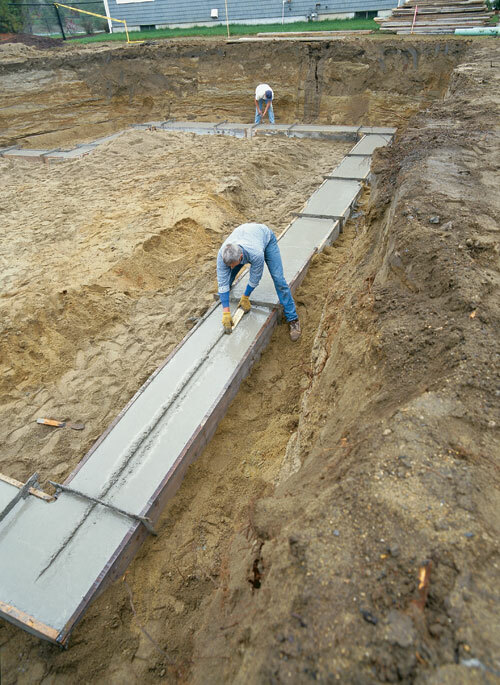 A paint-on damp proofing or plastic sheet between footing and foundation can be an illegal slip joint. To make the connection between the two parts solid, use rebar, a keyway, or both. Critical gaps in energy efficiency, air quality and durability happen where one trade ends and another begins. 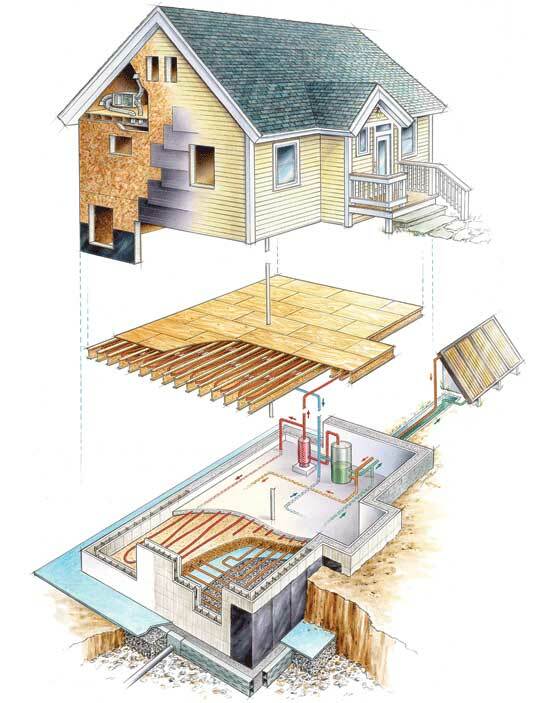 Builder Al Rosetto, of Lancaster, NH says “Indoor air quality begins at the footing.” He means that ground water can affect air quality in a basement and not planning for a dry basement when you’re pouring the footing can mean a dry basement will be hard to attain. 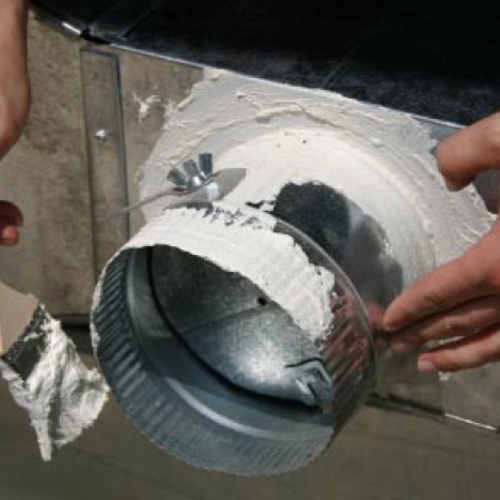 Most concrete contractors don’t realize that their work is so important to indoor air quality. Every trade contractor can improve or diminish the performance of a house. No single factor has more of an effect on residential energy use than house size. The smaller the house, the less energy it will use over its lifetime. Using less energy is good for the planet and good for the owners’ pocketbook, so a green designer always strives to keep a house as small as possible. David Johnston, a green-building consultant and co-author of “Green From the Ground Up,” recalls a design charrette he helped organize for a house project in Colorado. The owners had a child with asthma, so the architect gathered key trades together to talk about how they might work together on indoor air quality issues. 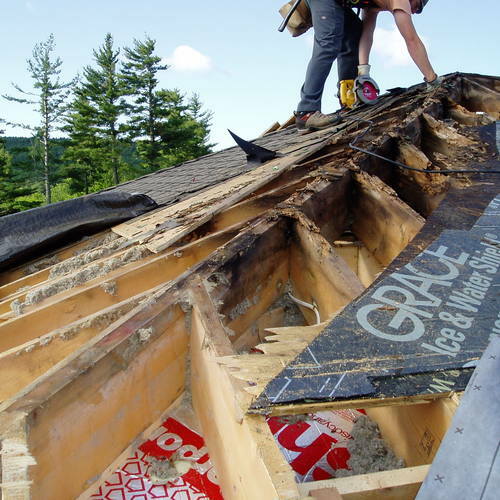 It was a new experience for many of them, but in the end they found an economical way to switch from fiberglass to cellulose insulation. In the same meeting, the plumber suggested a very modest change in floor plans that saved a few thousand dollars in labor and materials. In three hours, Johnston says, the group cut $10,000 from the construction budget in addition to solving the original clean-air problem. That’s the idea behind integrated design. 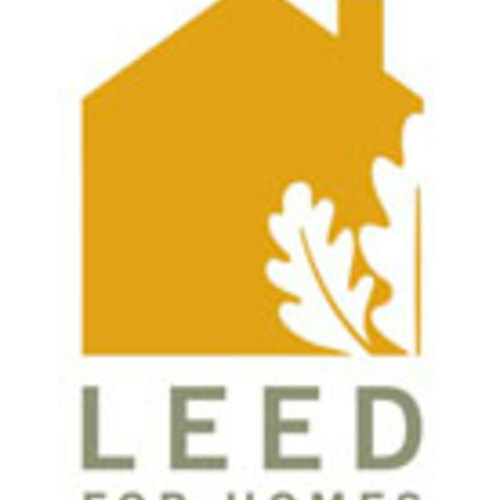 LEED for Homes Up to 3 points for integrated project planning (ID1) and 3 points available for durability management (ID2), which is a critical aspect of integrated planning. NGBS Under Ch. 4 — Site Design & Development: 4 points for knowledgeable team, clear roles, written mission statement (402.1); 3 points for training on-site team (402.2); green development practice checklist — 3 points (402.3); up to 10 points for density of development (403.12); up to 15 points for home size < 2500 sq. ft. (601.1 in Ch. 6 — Resource Efficiency). Great article, but how does a homeowner get the various players to buy into integrated design? Assuming the homeowner is the one bankrolling the project, s/he gets to dictate how the project is conducted. From a practical perspective, though, we also have to assume that Ms. or Mr. Homeowner has never held this role before, or perhaps has never orchestrated any design or building work. The best option is to hire an architect or owner’s rep who has experience with integrated design, and then s/he will navigate the entire team through the process. If such a person isn’t readily available, I suggest that Mr./Ms. Homeowner incorporate critical steps and responsibilities in the integrated design process into key contracts (with the architect, general contractor, mechanical design professional, et al. ), and be prepared to monitor all parties concerned to see that the contract provisions are upheld. Fundamentals of Integrated Design for Sustainable Building, Keeler & Burke, and the chapter on integrated design in my most recent book, Energy Free: Homes for a Small Planet. Also, be sure that all your key consultants are not just amenable to the prospect, but enthusiastic. This won’t play out well with reluctant participants. Even with an experienced facilitator, solid contracts, and agreeable players, expect the process to be a bit messy. It’s the nature of the beast – repetitive and cumbersome at times, but ultimately essential to achieving optimum performance. Gary, assuming you are the prospective homeowner, your best bet is to start by finding either an architect/designer or a contractor who is sympathetic to the approach, and if they are at all knowledgeable about energy-efficient construction they should be. These are the key players who will be able to help put together the rest of the team. I can see there is some real experience and thought gone into the above article, which I hope to invest a lot more time and effort to study in future. Thanks for providing it on the GBA website. The tag team approach between architect and engineer seems thoroughly wasteful and quite dis-integrated. Then to have to pass off the extensive HVAC pre-engineering to another professional - the HVAC contractor - to actually specify delivery systems seems triply wasteful and unnecessarily dis-integrated. The most integrated design and building process is one that used to be accomplished by a Master Builder: one person does space, structural and mechanical design, the same person creates all construction drawings, and the very same person builds or installs every part of the building. There may be additional help and a small number of subcontractors who are directly supervised by the Master Builder and may also have some input into details, methods and materials (to a limited degree, more heads are better than one if they are not banging against each other) - but the best integration of the design/build process happens inside a single head. How sad that home building has gone the way of every other "profession" in modern life: specialties and subspecialties, each protecting their turf and each demanding their percentage of profit. No wonder today's homes are so unnecessarily complex, extravagant and costly both to build and to the environment. I agree (almost) completely with Robert Riversong above, it certainly is a pity that we can't all know everything about building a house. Houses just aren't that simple anymore, however. We no longer just want them to keep the rain off our heads, we want them to be comfortable to live in, economical to heat, etc., etc. Even so, it still behoves each of us in this business to learn all we can about the entire process, and to be as bullish as we can with our clients about the need to integrate all aspects of the project, from the design to the operation of the final product. The more we know, the better the likelihood of having a good outcome. Just wanted to say thanks for the article... very well written and in-depth. As an answer to Gary, I think a good way to get everyone to play nice is to have a good collaborative system in place (like any of the sites linked above)... that way no one's toes get stepped on. Would a Mechanical Engineer do a Manual J, and S analysis before making final system selection when considering non ducted systems? Would the mechanical engineer be able to do a cost benefit analysis of the different systems? In many cases, a mechanical engineer will perform the services you mention. However, it's also possible that an energy consultant (for example, a HERS rater) might do this work. Here's some more information on Manual J calculations: Saving Energy With Manual J and Manual D.
The architects/engineers/HERS raters all seem to be located in expensive places to live (i.e,, Boulder, CO, Santa Fe NM, the S.F. Bay area). I personally need to access these kind of people in a less-populated, cleaner-outdoor-air, cheaper land place.